Our friends over at Seachem have sent us their entire product line of aquavitro for plants, and we want to give it to you! 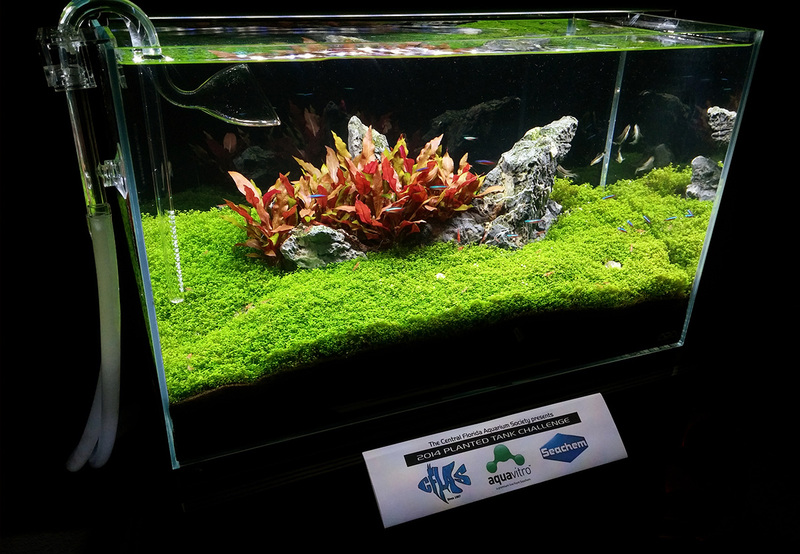 Calling all aquascapers, planted tank hobbyists, and aquatic gardeners of all levels. 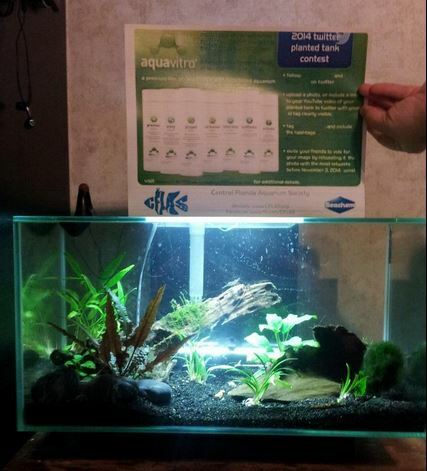 Our 1st place winner will receive the entire aquavitro product line for planted tanks – premier™, envy™, propel™, carbonate™, mineralize™, synthesis™, and activate™ – seven (7) bottles total, a $150 value! 2 runners up will receive a bottle of aquavitro envy™ or propel™! All prizes made possible by the Central Florida Aquarium Society and Seachem Laboratories. So how do you win this great prize? Print off this id tag, cut it out, and place it somewhere on or around your planted tank where it will be visible in your photo or video. Follow @OfficialCFLAS and @Seachem on Twitter. Like the Central Florida Aquarium Society and Seachem Laboratories on Facebook. E-mail us a photo of your tank at [email protected] with your id tag clearly visible. Submissions without a visible id tag will not be accepted. The top 3 entries with the most combined favorites and likes will be the first, second, and third-place winners of this contest. All entries must be received by 11:59pm on November 30, 2014. Winners will announced on our website in this post, on our Twitter feed, and on our Facebook page shortly thereafter. Our standard contest rules apply. 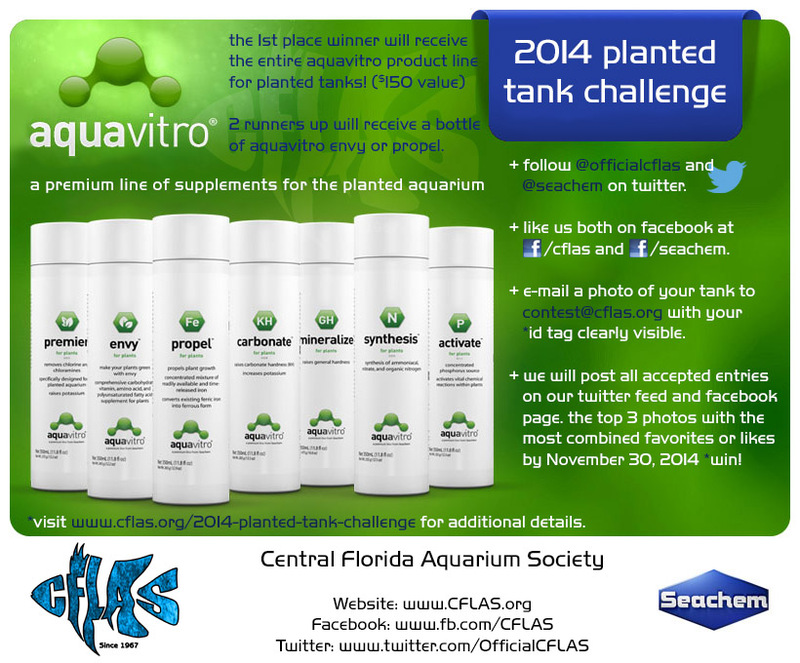 Congratulations to our winners of the 2014 Planted Tank Challenge!